Add Free Horoscopes and Astrology Content To Your Website, Blog or Social Networking Pages! Using our free widgets, your site will be infinitely cooler and much more sticky. Visitors will return more often. 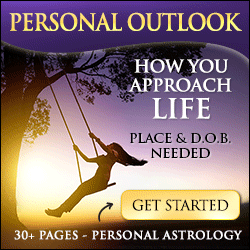 People love to read free daily horoscopes, weekly astrology forecasts and monthly predictions. Now they can do it from your website if you put our simple horoscope script in place. Visitors remain on your site when they click their zodiac sign and our free horoscope widget will pop up their daily, weekly and monthly astrology predictions. Our astrology widget will display the zodiac signs in three columns and four rows, vertically single file, four columns with three rows or anything in between if you play with the configuration of widths on the images, divs and tables. The way it works is that the symbols link directly via popup to free horoscope content including daily astrology forecasts, weekly horoscope predictions and monthly forecasts all on one page. Background and text color, font family, text size, height, width, image height/width and the width of each sign (Div Width) are totally configurable. Use the "Get Widget" link after the widget to get our free horoscope widget code and astrology script (pure HTML) right now from our website. You can also click the Get Widget link to set up free horoscope content to work with TypePad, Netvibes, Blogger, Google, Pageflakes and most social networking sites such as Facebook, MySpace, etc. This horoscope widget as configured will display the zodiac signs in four columns and three rows. Each symbol links to free astrology content including daily horoscope, weekly forecast and monthly prediction, as you can see by clicking any sign. You can quickly change colors, fonts and text size to suite your preferences. Visitors never leave your site; the free horoscope predictions just pop up or open in a new tab/window! Here'a a 3 column widget (360px wide). Here's a great way to display zodiac signs in two columns, perfect width for a left or right bar in multi-column layout such as this page. The possibilities are endless! Click the "Get Widget" button below any widget to customize your own version, grab the html scripts and add to your website, social page or blog. You can also configure the widget to suit your own preferences, but you may not alter the images themselves (size is OK to alter) or the target URL of the links, the sign names/dates (color and font/size are OK to alter) or the alt text of the images. We've also got a condensed horizontal bar that works well as a banner.